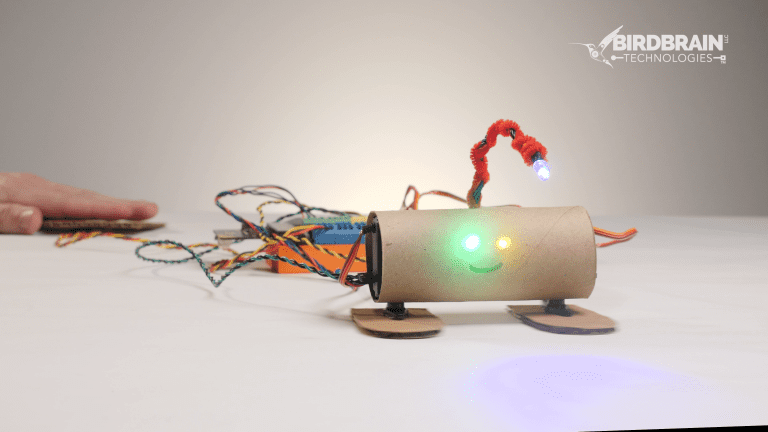 Meet the jitterbug, a simple dancing robot that is made from common craft materials. 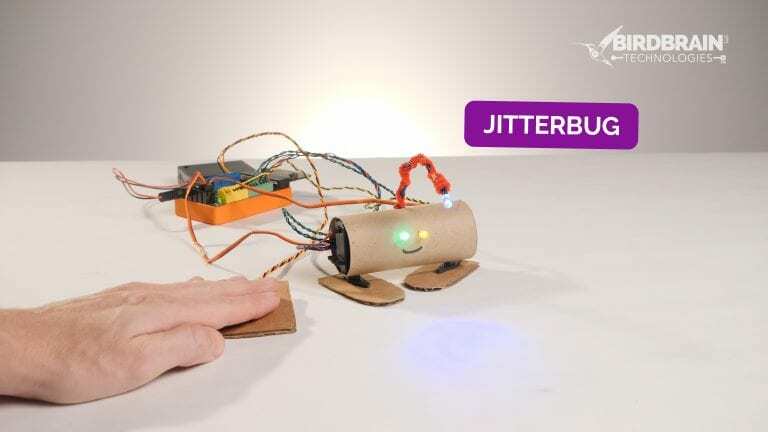 The jitterbug uses LEDs, position servos, and a light sensor, making it a great starter robot. 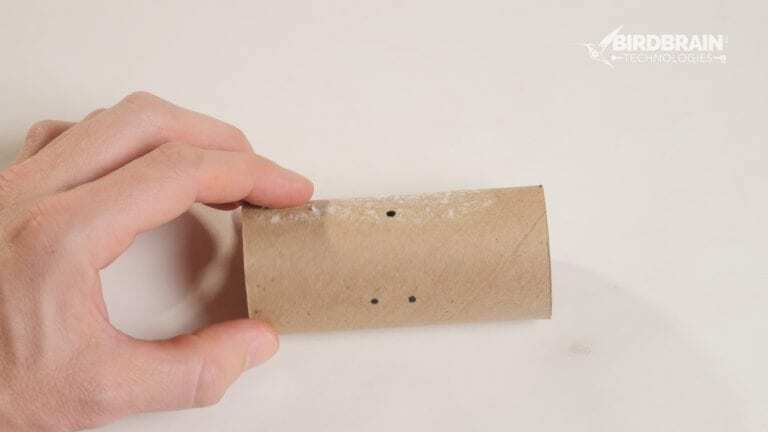 Make 2 dots towards the center of the cardboard tube. These will be your jitterbug’s eyes. 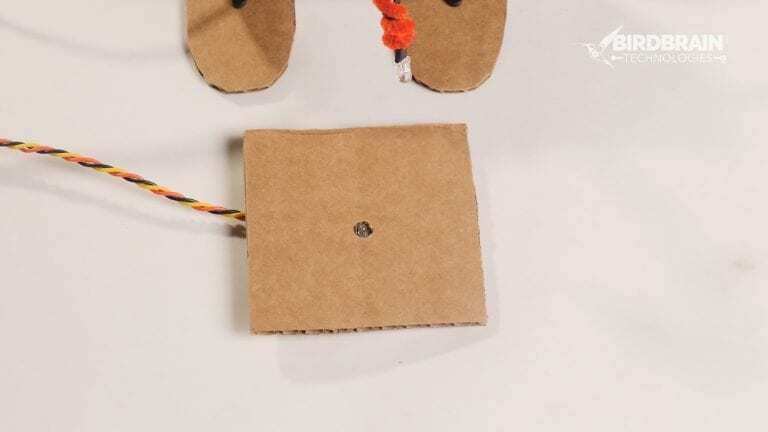 Make sure they are close to the center, because you need to leave room on the sides of the cardboard tube for the servos. Draw a third dot in the center of the cardboard tube, just above your jitterbug’s eyes. This is where your jitterbug’s antenna will be located. Using the blade, carefully poke a little X over each of the 3 dots. 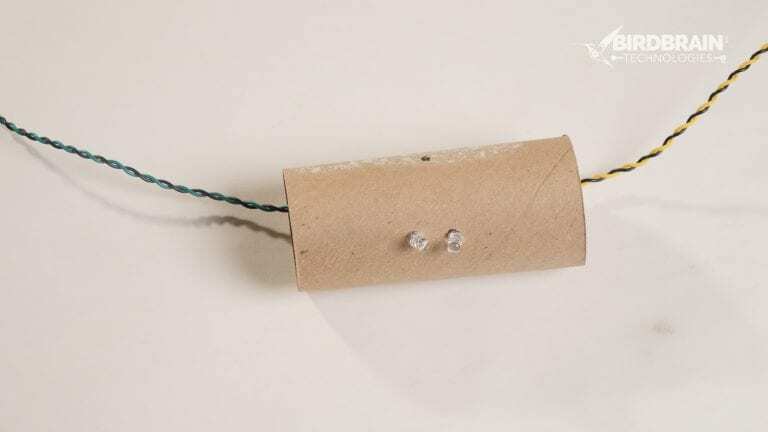 Create an eye by feeding the single color LED wire through the X’s until just the LED sticks out from the cardboard. Repeat this process to create a second eye. 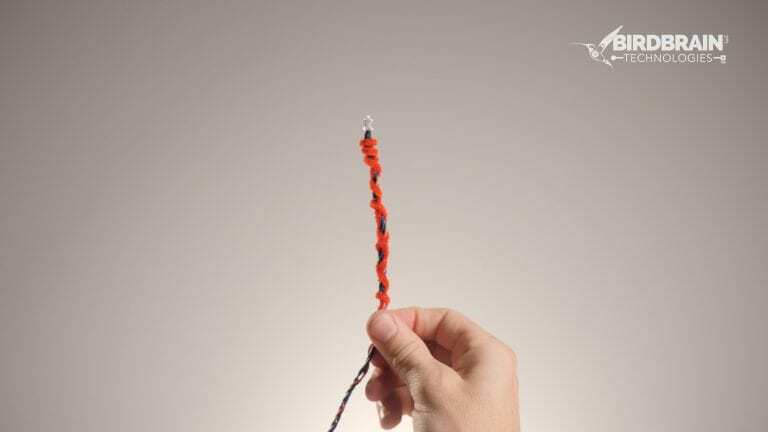 Wrap the pipe cleaner around the top 12cm of the tri-color LED. Feed the tri-color LED wire into the top X. 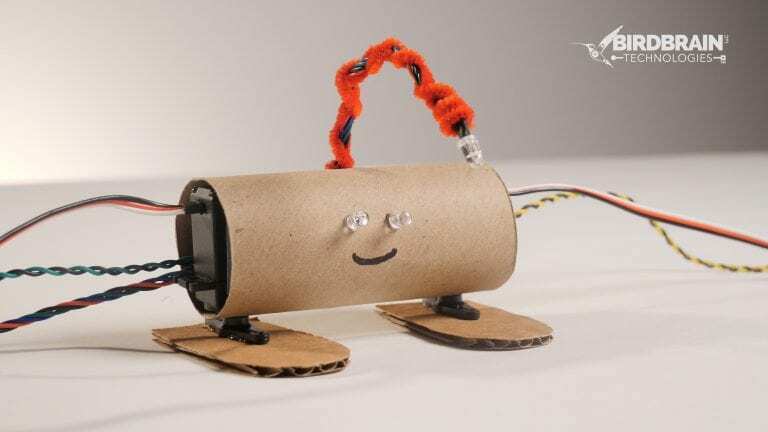 Pull the wire down until the bottom of the pipe cleaner is tucked inside the cardboard tube. Shape the antenna however you’d like! Create holes for the feet by punching 2 holes on the underside of the tube about 1.5 cm from the edges. 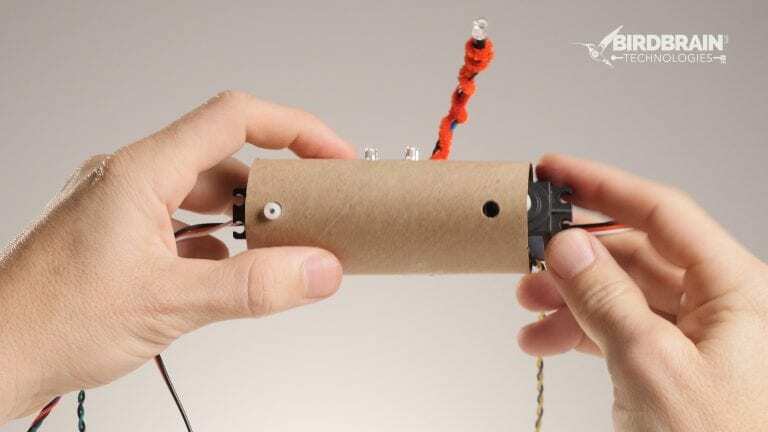 Push the position servo into the cardboard tube so that the servo shaft slides through the hole. 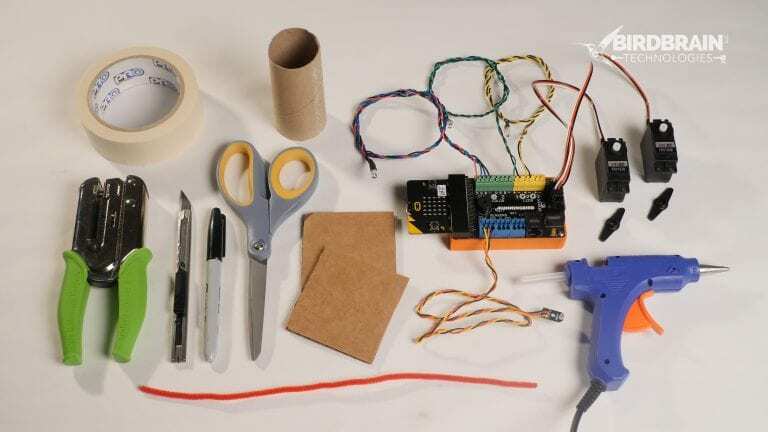 The servo’s wire should be pointing out of the jitterbug. Repeat this process on the other side with the second servo. 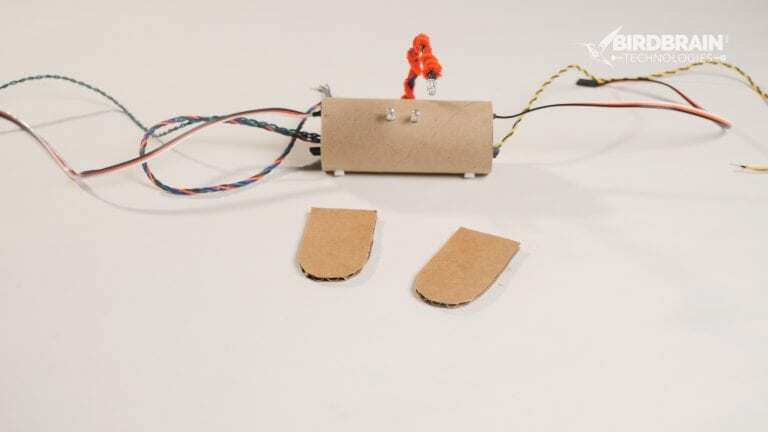 Cut feet shapes from the scrap cardboard. 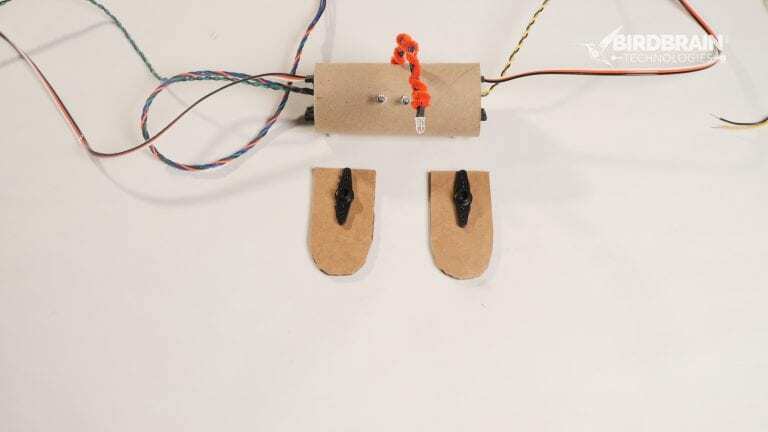 The feet should be large enough to allow the jitterbug to balance. Glue the servo horns onto the feet. Be sure not to glue into the center hole of the servo horn. Push the feet onto the servo shafts. Draw a mouth on your jitterbug. 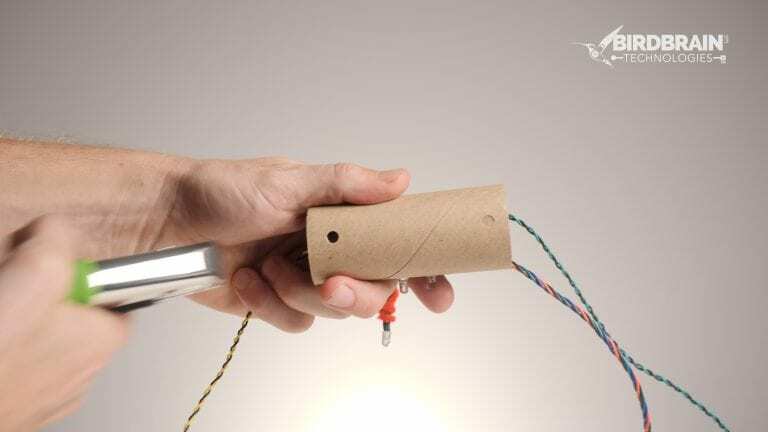 Using the heavy duty hole punch, punch a hole into a piece of cardboard. Place the “sensing part” of the light sensor through the hole. Place a small piece of tape on to the back of the light sensor to hold it into place.